Itchy and Scratchy Land Act 2 is Live! 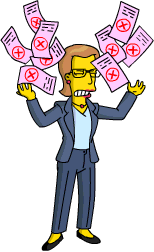 Well, it’s that time in Springfield…time for Act 2 to hit our games. It’s 10am here on the east coast and that means it’s time for Itchy and Scratchy Act 2…so have at it my friends! And YES, the server is currently down. When will EA learn to just go back to the 4am (ET) start times…. Itchy kicks things off in Springfield, and you’ll have tasks for Itchy, Diane (if you unlocked her) and Springfielders..
You’ll earn Foam Axes very similar to how you earned knives during Act 1…. Guys there seems to be a lot of confusion about this…Craftables WILL NOT unlock until you’ve unlocked the Log Ride from the prize track…just like the crafting box says…. Yes, the area around your I&S Gate is still active for the Amusement Bonus. Only now the bonus % has increased to 35%. So 15% more from Act 1 to max it out. A couple of items that hit earlier this week…. Squeaky Voiced Attendant and Soarin’ Over Springfield- 100 Donuts. This is a SKIN for SVT, not a new character. I’ll have a SIB post on this up likely tomorrow. If you’ve purchased this already and can’t find SVT, check your inventory. He was stored there after the K-Land nuke. Maw Spuckler- Available IF you purchase donuts for cash. Buy 300 donuts get Maw with that bundle. 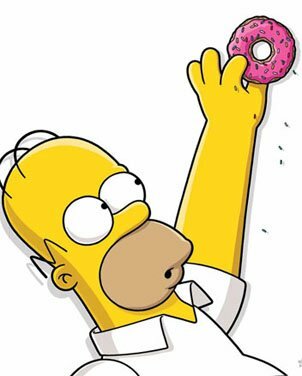 300 donuts is $19.99 in the US (it’ll cost more in other countries because of Taxes from Google, iOS and Amazon. EA only collects $19.99). I’ll have a breakdown of this up in the next couple of days, but she’ll be available until the event ends (July 11th), so no rush. UPA Talent Agency & June Bellamy- 150 Donuts. Also, next week the game will celebrate pride with a few additions to the game. (new and returning) That will last about a week and we’ll cover the details when it hits. And for those asking about the Presidents, if/when they’re coming back….they usually appear around the 4th of July and, well, the 4th of July isn’t until…July 4th. So look for those guys to appear, if they make a reappearance (which I wouldn’t doubt because they’ve appeared every year since 2013…), around then or at least the last week of June. i.e. when Act 3 hits. 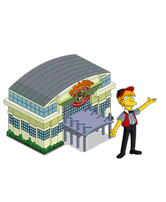 This entry was posted in Buildings, Characters, Decorations, Donuts, Tapped Out, Tips and Tricks, Updates and tagged act 2 crafting, act 2 currency, Act 2 Prizes, donuts, Itchy and scratchy land act 2, Itchy and Scratchy land event, itchy and scratchy update, June Bellamy, Maw Spuckler, Pride 2018, Soarin over Springfield, Tapped Out Tips and Tricks, The Simpsons Tapped Out, TSTO Addicts, TSTO Itchy and Scratchy land, TSTO Presidents 2018, TSTO Tips and Tricks. Bookmark the permalink. Why is there any cars parked in my itchy and scratchy land parking lots? Just tap on the lot… There’s 2 or 3 different views. Can you set the log ride any way or it have to be the way you all want it?? Made it more difficult to collect act 2 prizes. I even have even bought 2 extra characters to staff rides, I collect my other Springfield’s daily, and only just got the second prize (free land token) 🙄 don’t know why they make it difficult for us to get the prizes, only just got the all the prizes of act one done 24 hours before it finished. Feel like I won’t get all of these in act 2. The only good thing… is that it literally takes 30 second of time to recycle the key currency earners. Weirdly…I have been able to kind of put the game on “mental hold” without having to quit playing and earning. It is so fast to clear and resend the “Ride Team,” that I can do it while doing almost anything else…anywhere. Did it last night in the middle of a Rotary board meeting… 30 seconds… soundoff… nobody the wiser. I don’t know if it made a difference or was just a coincidence, but after placing the log ride, I swapped the long track with the main building (so now the main building is at 6 o’clock instead of 12) and things started running more smoothly. Could be totally unrelated. Anyone know the footprint of the plunge and loop for the log ride? The corners are 5×5 so I guess the long sections are 10×5. Are the characters in the parade train bundles npcs or characters with tasks? I like the log ride SO much more than the race track. It actually kept my attention for the hour it took to design it with all of the lag 😂 (& I didn’t get the Bart screen!) … still not too excited & wish I’d have held off on any KL designing. Happy the donut/Spuckler combo is sticking around. You can design the log ride however you like. Will the buildings in the bundles do anything Or are they just for decoration? I feel like the “bonus” area is small if you don’t just want to flop random junk into it. You are correct of course, but I don’t see why they can’t just be axes. It’s Itchy and Scratchy Land after all. What good is going to the most violent character land if they only give away inflatable axes? Thanks everyone for tying up the servers early on. I logged in for the first time 4 hours after the event hit and had no problems whatsoever. As I always say, it pays to be late. I did make the mistake of paying 10 donuts to advance my foam ax count to the point I could get the log ride before remembering I had 3 saved daily bonuses I could/should have used. Oh well, that just puts me that much further ahead. Speaking of being ahead, I wonder if act 2 will be as easy as act 1 to complete. Although I do play premium, so that helps, I only had to log in twice a day to get all the prizes 3 days early. Seems that by starting with 35% bonus right from the get go act 2 may be even easier. Compared to the last couple events this one almost seems like a vacation. It IS a vacation…if you wanted to go to a giant theme park that makes you craft the rides! It’s like going to Ikea-Land! I only go to Ikea-Land for the Meatballs. They are the closest thing I can find to what I ate when I lived in Sweden without making my own. Yeah, that Bart Simpson Screen of Death (hate to say that I kind of predicted it, so I waited till 12 p.m. Las Vegas time)! I didn’t quite get to Diane…considering paying donuts. Anyone got an opinion for how many she’s worth? I needed 75 donuts to get her and my finger was about to tap the confirm button to spend them when I realized that no way was she worth that much. Akira and the Happy Sumo are in my vault this week, so I’ll spend the 75 there instead. She is an one off character. Don’t really think she is worth more then 25 donuts if even that. The log ride is much nicer looking than the racetrack. I’m having trouble fitting the log ride together so that you can get the animation. Seems I am missing a second ride end. Once again…you have to connect the RED DOTS…that is the magic. Thanks Patric! I finally got it connected. The only thing I vaguely want from this act is Bort. Trying to decide if it’s even worth it. Now we know why the “blue area” was sooooooo large! thx Patric! To clarify then, it will be placed for the existing blue area with the I&S entrance and Itchy 500, it’s not going to create it’s own blue area? (like the criminal event with 3 buildings and 3 blue areas?).. Darn.. now I’m going to have to clean up that area there and make more space. DOH! This correct. The blue area for the gate is the only one we will get. But, it is big. Remember…you only have to touch the blue with one square to earn the bonus…so a LOT of a ride can be outside of the blue. The waterslide rde doesn’t have it own bonus area. The game still uses the Itchy and Scratchy gate for bonus. Now it’s 35% to reach the max, instead of 20% last act. It seems to me that character tasks change on some of the riders . ie.. the haunted condo task for the cops changed after that task to eyeballs of death task after the first was completed. Or is it just in my mind. 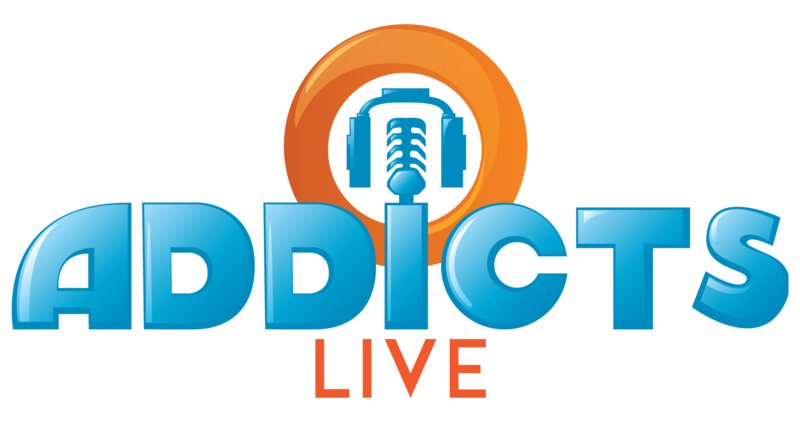 Thanks for the hoarding Daily Prizes advice – started the day with the Log Ride! 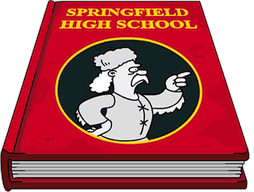 Also so glad I bought all the Stonecutter robes when they returned – it makes sending all your players one at a time much faster as they do not show up on the darn “Send Springfielders” tasks!!! Well, compared to Act 1? 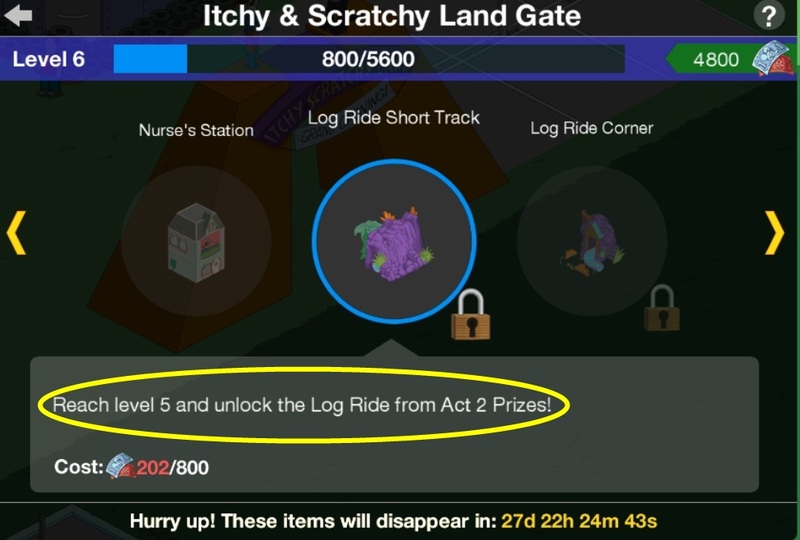 Act 2 does offer better Event Prizes with regards to Itchy & Scratchy Land rides / attractions (Log Ride, Parade). Crafting that Log Ride is easy (if you saved up crafting currency from Act 1) and more Free Land Tokens are always appreciated. Those glitches that EA doesn’t fix? I agree, they’re irritating. I believe Patrik also hinted at new Premiums (there are at least 2 new Character Building combos, how you incorporate them into your Itchy & Scratchy Land depends on how much Land you have available). Trust me, I have my gripes about this Event after Tapping since late 2013 (my biggest? Premiums are no longer Event Prizes. You got to spend Sprinkles for those).